The new BMW M4 convertible is a bit of a halo for the M4 range. It’s heavier than the coupe from which it’s derived, but as always with BMW it’s still a lot of fun to drive. It shares the same twin-turbo 3.0-litre engine and is good for 425bhp of pure, pleasurable power. The obvious reason for its added weight is the hard-top roof mechanism, but the bulkier chassis doesn’t help matters either. This weight does impact on body control and handling but not too much that it will be a deal breaker. Make no mistake, if it’s blistering acceleration and refined engines you are after, this is a top pick. OSV takes a closer look with our BMW M4 Convertible review. How does the BMW M4 Convertible perform? The M4 convertible is powered by a twin-turbo six-pot 3.0-litre engine that is shared in both the BMW M3 saloon and the M4 coupe. It’s capable of developing 425bhp and can get you from rest to 62mph in a barnstorming 4.4 seconds. It’s slower than the coupe but we’re really talking marginal differences. This is still a rapid car, mid and low-range power is always available and it’s always smooth. The throttle response is different and it’s noticeably not as sharp as the coupe, or the BMW M3 convertible that it has replaced. Put the roof up and you will notice that the 3.0-litre unit sounds frustratingly artificial. This is because the brand has fitted a system which is meant to improve the power plant’s overall sound – only it doesn’t quite work all the time. Put the roof down, however, and you’ll notice the engine sounds a lot more natural. It spits and snarls, making you wish it was sunny and warm in the UK a lot more often. Although it’s managed to retain the blistering acceleration of the coupe, the convertible doesn’t brake as quickly, even when you slam the brakes on hard. It’s also not as confident around bends, but it’s still a very competent 4-seater convertible that will please most driving enthusiasts. It’s also really refined, which is a bonus. We enjoyed sitting in this car, both up front and in the back. 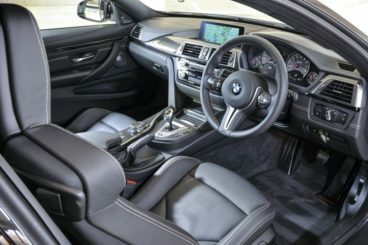 All the seats are comfortable and supportive and whilst the suspension is markedly sportier than in the standard 4 Series, you can adjust it so that you’re as comfy as possible. You can also add bigger alloys, but we recommend sticking to the standard 19” alloys if you don’t want an excessively firm ride that takes something away from ride enjoyment. The body of the car isn’t as rigid or as balanced as the coupe’s, so you do feel a few jolts here and there as you make your way over potholes and bumps. It doesn’t impact too much on driving experience overall, but you will definitely notice it the first time you take it out for a test drive. It’s great to put the roof down and cruise around, as the wind deflector protects you from the elements, keeping your hair nicely intact. The car looks good, with the roof up or down and has visual muscle that compliments its performance nicely. Bulging wheel arches cover the wide rear and front tyres, while a sculpted rear bumper is well crafted. The interior is borrowed from the 3-Series line-up, which means it’s luxurious, upmarket and easy to use. The iDrive controller makes intuitive use of the centre console display, while leather comes as standard. The folding top, meanwhile, takes just 23.8 seconds to fold and looks like a bird of paradise preparing to take flight. It’s a work of art. Space is good upfront and in the back for four people, but it really is better suited to just two, especially on longer journeys. Head room is a little restricted, thanks to a smaller back window and shorter roof line. The boot is well-sized, with 370-litres on offer. Stow the roof, and it shrinks to 220-litres. There is only one trim level available, which at least makes it easy to choose. There are a lot of optional extras available, though, so you won’t be sailing through the process. Standard equipment you’ll leave the dealership with includes metallic paint, 19” alloys, M-specific wing mirrors, quad chrome exhaust tailpipes and a carbon-fibre reinforced roof panel. Optional extras include the 7-speed M DCT twin-clutch automatic gearbox which will set you back £2,645 – a lot of money – while carbon ceramic brake will cost £6,250. Worth adding is the M Head-up Display which is priced at £825. The dynamic safety system is also optional and proves its use by detecting signs of tiredness. Once detected, it will tense your seat belts as it prepares for a potential crash. It sounds more ominous than it is. Prices for the new convertible start out around £47,500 and rise to just over £61,000. If you’re thinking of leasing it, you’d be looking at paying somewhere between £550 – £700+VAT per month. The car is heavier than the coupe variant, which means that it will cost a bit more to run. Most buyers have been snapping up the dual-clutch gearbox, and doing so does see the economy drift from 34mpg to 32.1mpg. In turn, due to the emissions increase, your tax cost will also go up. It’s important to remember that this is a sports car, so those mpg figures will be hard to achieve most of the time. To get 34mpg, you’d need to drive like a monk who’s just renewed his vows. Unsurprisingly, it isn’t particularly cheap to insure. You can pay for your servicing costs up front if you prefer, a £1,000 deal covering all costs over 5 years. You can upgrade the deal to include wear-and-tear issues if you’re prepared to fork out £3,460. The convertible is only marginally slower than the coupe, and certainly not so much slower that speed would become a deal breaker. It can rocket you from rest to 62mph in just 4.4 seconds before maxing out at 155mph and feels just as fast as the figures suggest. The twin-turbo six-cylinder 3.0-litre engine is an absolute monster. Hugely powerful, it just wants you to rev and rev it. Peak torque comes in at around 1,850rpm, which is damn exciting, and can be maintained until 5,500rpm. Unusually for such a big engine, the red-line screams at 7,600rpm which helps to give this power plant its flexibility out on the road. It can go fast, but it can also go slow. It’s really easy to get comfortable in the BMW M4 convertible, thanks to supportive seats, an accommodating suspension set-up and alloys that add to the ride enjoyment. And when the roof is down, the wind deflector is there to keep your hair in place. The coupe’s handling is excellent, while the convertibles can’t match it. Are things really so binary as to say the convertible doesn’t handle well? Not really. But this is the area that the M4 convertible falls down because the coupe casts such a big shadow. Without a roof, this car just can’t be as rigid as you’d like, and you do feel it through corners. And when the car bends, the steering suffers. Although it’s got four seats, this convertible is at its best when there are just two people inside. The rear seats are okay on short journeys, but a pair of adults will really feel the pinch on longer ones. The seats aren’t very big, and when the roof is up, head room is poor. The sporty convertible sector isn’t awash with talent. Let’s see how the BMW fares against two of the best in the comparison section of our BMW M4 Convertible review. Like the BMW, the Audi RS5 Cabriolet is based on a coupe, and like the BMW, it’s something of a halo for its range. Powered by a meaty V8 4.2-litre engine that is also found in the R8 supercar, it can deliver 444bhp and gets you from rest to 62mph in 4.9 seconds. It isn’t as fast as the M4, and it also isn’t as fun to drive. 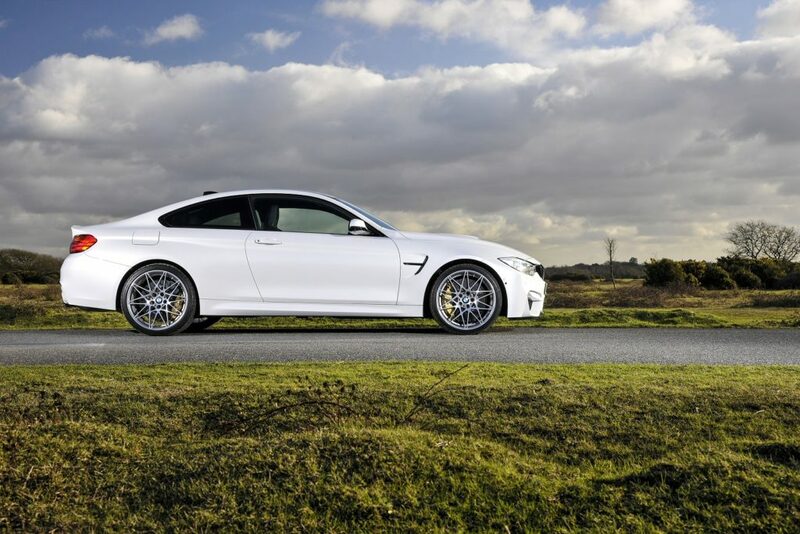 It’s easy to drive, thanks largely to the clever quattro four-wheel drive system, and like the M4 it also has something of a split personality; it can be vicious when you want, and smooth when you need it to be. Because of the roof, it doesn’t handle as well as the coupe. There is minimal buffeting when the roof is lowered, and interior comfort, on the whole, is good. The supportive sports seats make it a pleasure to sit inside this cabin, although the suspension might be a bit too firm for some of you. Like most convertibles, it doesn’t major on practicality, and back seat space is at a premium. If the roof is up, taller adults will struggle. 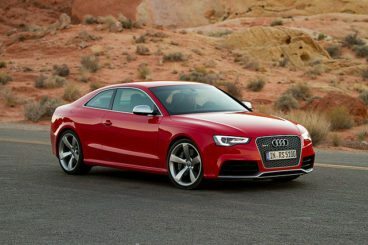 Audi claims a fuel economy of 26.8mpg, but it’s going to be difficult to achieve that number on most days. Insurance and maintenance costs are also sky-high. 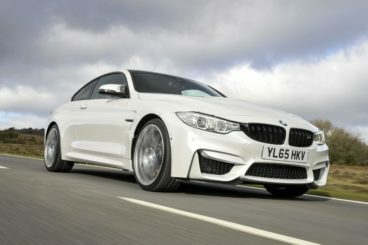 The M4 Cabriolet is cheaper to insure. There isn’t much to separate these two cars except the price tag. Both ooze quality, both are performance-oriented, and both look the part. 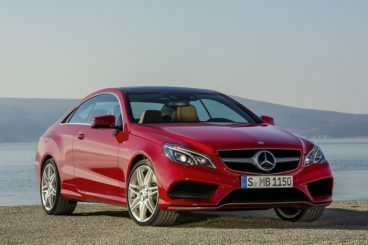 The new Mercedes E-Class Cabriolet is comfortable, stylish and one of the most luxurious cars in this sector. Make no mistake; this is not a sports car. Much more of a cruiser, it puts the focus on luxury and comfort, as opposed to pure driving thrills and spills. It’s similar in size to the BMW but less sharp. It is, however, more refined, and its steering is nicely weighted. The petrol range kicks off with a rather leisurely 2.0-litre turbocharged unit that can get you from rest to 62mph in 8.3 seconds. A much more powerful 3.0-litre twin turbocharged unit is your other petrol option, and it does the 0-62mph dash in 5.3 seconds. It’s a very capable engine. The diesels are attractive enough, with a 2.1-litre BlueTEC suiting the car’s character very well. It does 0-62mph in 8.2 seconds, but the E350 BlueTEC has a better mix of performance and economy. Speaking of economy, the Mercedes E-Class Cabriolet is on the whole reasonably economical. The E350 BlueTEC diesel is cheaper to run than last time around and can average returns of 51.4mpg while emitting 140g/km of CO2. The other diesel is the most frugal of all the engines, though, and can return 57.7mpg while emitting 126g/km of CO2. The Mercedes E-Class Cabriolet is not quite as quiet inside as the coupe variant, but it’s not far off. The diesels will rattle when you start them up, but once you get up to speed they quieten down. And with the roof up, the cabin really is as quiet as its coupe counterpart. The dash is going to be a bit plain for most peoples’ liking, and you can’t help but think that Mercedes have really let themselves down here. It’s crammed with buttons, and has none of the fluid design language of other Mercedes’. The car is also fairly impractical, and cannot beat the M4 when it comes to interior space. Room is good enough upfront, but rear seated passengers will have an uncomfortable journey ahead of them. There are a useful amount of storage spaces, including a hefty glovebox, but the boot is small. Don’t expect to fit much more in here than a couple of soft bags. There aren’t many similarly-priced competitors to the BMW, with the outright rivals that might tempt you away costing a lot more money. For this reason, we’d have to say that the M4 Cabriolet is class-leading. In fact, it might come down to a straight choice between this and the Coupe variant from which it’s based. There is, of course, a penalty to be paid for losing the roof. But if you can get over the extra weight and the slightly poorer handling, the BMW M4 Convertible is a smart choice for summer.